Applying a certain school of thought to anything means acknowledging a degree of rigidity. We all work within certain confines. It’s how you understand the world. You can’t be a pragmatist and an idealist for example. Football, as progressive as certain entities are within the game, is still conservative. Indeed, most sports are, especially ones with such a rich history. However, a new dividing line has been drawn in footballing thought. It’s seen as being divisive when it should be seen as freeing. It’s the line between data and instinct. Data refers to the wealth of statistics that are compiled in every match and their use in allowing sides to analyse games and players. Instinct is the more old-school world of learning football through watching and playing it. It’s a gut feeling, often accrued over time. For many on the data end, their refusal to look beyond numbers, to accept only that which can be calculated, has become a kind of footballing atheism, dogmatic and close-minded. If it can’t be quantified, it doesn’t exist. Likewise, for many on the instinctual end, they refuse to believe that their sport, which is about passion and experience, could possibly be improved upon by a young graduate with a laptop talking about expected goals and heat maps. Both have their pros and cons and many, usually the most successful, are willing to embrace both. For them, the sum is greater than its parts. Football is streamlining, becoming more economic and more impactful. A player can’t waste a second, while managers are deploying their tactical theorems with the meticulousness of a professor in a lab. There’s a lot for a football team, particularly its manager, to think about. But what if there was a way to tie it all up, where you could have idealism and pragmatism, data and instinct? In American Football, particularly the NFL, a contemporary take on an ancient philosophy has some answers that work at both a team and individual level. He listed off the players he had in mind. His side had just been knocked out of the Champions League by Manchester United, the second leg finishing 2-0 after a goalless draw in the first. The Portuguese manager guided his team to the Scudetto that year, but he wanted it all. He was granted his wishes with signings and repaid that faith by winning treble, inclusive of the Champions League. This is Stoicism in practice. To understand it, we should firstly look at Stoicism as a philosophy. Put simply, it’s about doing all that you can within your power, in the present, to prepare for any eventuality in the future. There’s no point worrying about what you can’t change, so make the best of what you have. To simplify it further, control what you can now to minimise the negative effects of future unpredictability. At the centre of this is you, your training schedules, your tactical applications and more. It’s a philosophy for meticulous planners, analysts, psychologists, tacticians, workhorses, but above all else, people dedicated to continual improvement. This idea of continual improvement is deeply ingrained in the contemporary footballing lexicon, and for good reason. We’re better than we’ve ever been before and we keep getting better. 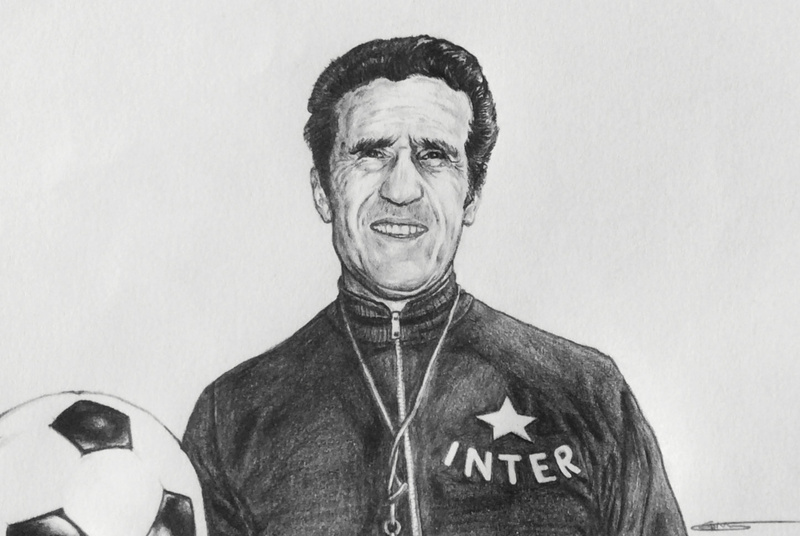 If we were to look at managers through the years who could be classed as Stoics, their philosopher-king would be the indefatigable Helenio Herrera. He was a hard-headed figure who, above all else, prized the will to fight and individual and team discipline. If you could apply yourself through experience gained, solid leadership and intelligence, the future would be better than the present. By the Argentine’s side would stand Sir Alex Ferguson, Rinus Michels, Jock Stein and Osvaldo Zubeldía. This reads like a who’s who of football’s strongest men, which is only half true. They’re also amongst the most successful and pioneering in various eras and in a variety of styles. 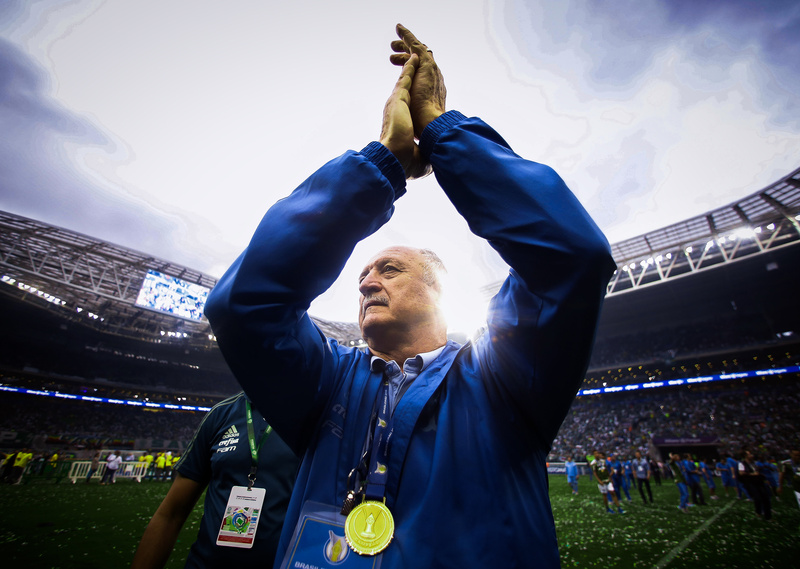 In the contemporary game you could look at Marcelo Bielsa’s obsessive approach and Pep Guardiola’s insistence on evolving the Church of Cruyff. Stoicism isn’t American. It’s Grecian by way of Ancient Rome. It was the Roman emperor Marcus Aurelius, in his series of personal writings entitled Meditations, who developed the concept that had been brewing across the two hubs of intellectual thought in the ancient world for some time. Largely forgotten as a philosophy and used as a synonym for being stern, its renaissance came about with a book, The Obstacle Is The Way by Ryan Holiday. He didn’t shout from the rooftops about it, but one of its readers did. NFL executive Michael Lombardi first introduced the philosophy to the world of American Football after reading the book and becoming a bit of an evangelist. Telling everybody he could (before people started realising it would be better kept as a secret), Lombardi began handing the book out and recommending it at any opportunity. Other than Lombardi, it’s been heralded as a major influence on the playing philosophy of Bill Belichick’s highly successful New England Patriots, especially in their exuberant Super Bowl 49 triumph in 2015. Seattle Seahawks’ general manager John Schneider, legendary quarterback Tom Brady, and Chicago Cubs manager Joe Maddon are all disciples of the 2000-year-old school of thought. It is probably the worst kept secret in American sport. Coaches, players and general managers are becoming increasingly vocal about its undeniable benefits. So how can it be applied to the kind of football we play? It would initially have lent itself to the more cerebral brand of manager, the psychologists and professor types who go above and beyond tactics, delving into the dark arts of mind-games and media manipulation. It was somewhat authoritarian and domineering, a la the aforementioned practitioners. Holiday’s book went a long way in making it more accessible. Despite its astronomical sales and subsequent translations, it is in the realm of sports that the book has gained a cult following. Beyond sports, it’s also been adopted in tech, business and media – all aspects of modern life where competition exists. In the book, the ancient lessons are interpreted through the prism of contemporary leaders like Winston Churchill and Ulysses S. Grant. Great leaders are always comparing themselves to or pitting themselves against other ones. Brian Clough had to better Don Revie; Jürgen Klopp is on a mission to topple Pep Guardiola; Arsène Wenger battled for supremacy against Sir Alex Ferguson. Without their intellectual adversary, their career paths may never have been pushed to reach such highs. Unsurprisingly, the combative language resonated deeply with Lombardi, a man whose illustrious career is a testament to his unshakeable winner’s mentality. He recognised that he and his fellow coaches, players and staff had been small ‘s’ stoics their whole lives. 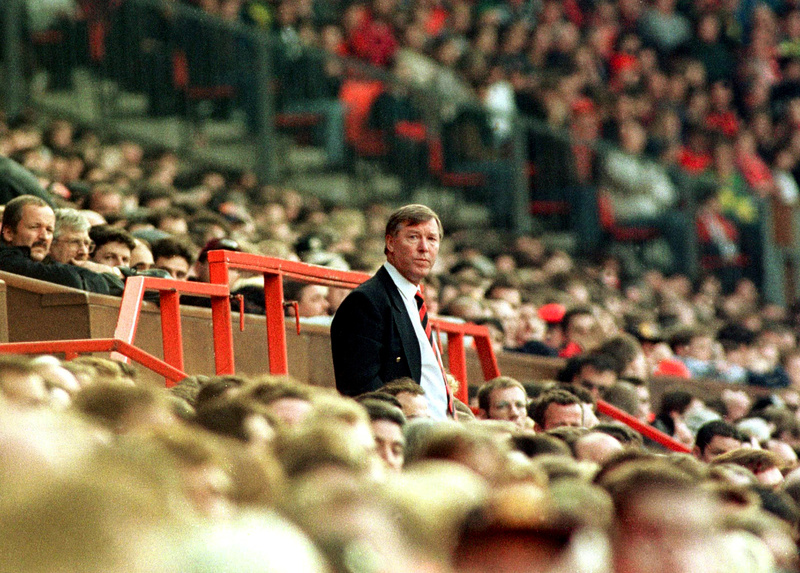 Back on our side of the pond, there is perhaps one man in football who best embodied the teachings of the Stoics – Sir Alex Ferguson. Coaching throughout Ferguson’s career changed dramatically. There were tactical innovations, technological advances and the landscape of football – from the celebrity of players to the prawn sandwich brigade class-shift – changed drastically. The fundamentals of being a good leader, however, did not and never will. Ferguson wasn’t managing in the heady days of social media that we live in now, which is why it is more, not less, beneficial to begin applying the tenets of the Stoics to modern managerial philosophy. When Ferguson said, “Part of the pursuit of excellence involves eliminating as many surprises as possible because life is full of the unexpected,” he was showing us the importance of preparation while acknowledging that the unexpected occurs. We can do what we can to control outcomes, but ultimately it will still happen. Getting to this stage of trust is rare. 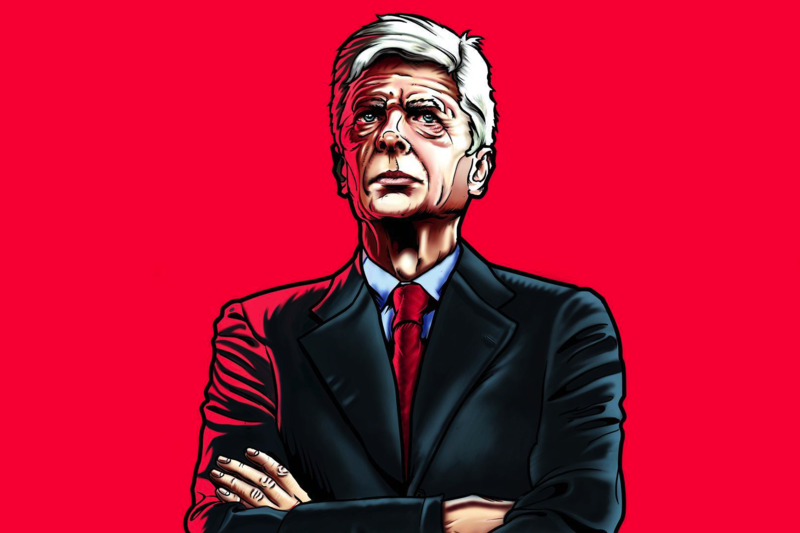 For a manager to be able to relinquish match-day control to this degree, with such high stakes, is nigh on impossible. It is, however, a sign of a healthy team. When the players step onto the pitch, a multitude of possibilities present themselves second-by-second. A manager can shout from the sidelines – but this is often limited in efficacy. During the game he really has 10 minutes at half-time to exert his control. The game begins with the first training session of the week and often ends when the whistle blows. Steve McClaren, while employed as a coach at Manchester United, said that the players were at the top because they’d keep their levels of desire and motivation consistently high. The players, like the manager, were able to focus on something and had crucially learned to control what they could – themselves. With this self-control, they could enter matches with confidence knowing the hard work in preparation had been done. Teams exhibiting confidence are more likely to play to their potential, even occasionally going beyond their limitations. Football has a multitude of outcomes and variables that are dependent on such a plethora of factors that we must acknowledge the capacity of every game to play out in an almost infinite way. The goal of managers is to limit what is perceived as unpredictable and to equip players with the fortitude to deal with them when they come. If executed successfully, along with their tactical strategy, success is more likely. Its strengths, then, lay in the preparation stage. It’s flexible to what playing style you choose to implement, assuming everyone is on board. Likewise, it almost mandates that one must use both data and instinct, otherwise preparation would be admittedly flawed. When speaking of instinct, it’s not just about going with your gut anymore. This type of management has been modernised and turned into a science too, although a reluctant few will remain sceptical. Under the guise of sports psychology, this approach has been going through a boom period recently and one of the figures to make a particular impact here is Bournemouth psychologist Dan Abrahams. Abrahams has done extensive work with English footballers. For him, just like Ferguson, confidence is the key. To achieve the necessary mechanisms of self-belief, Abrahams utilises many aspects of Stoic philosophy, without explicitly stating so. Incremental differences are the key and giving your team an advantage in any aspect can have a resounding impact. Players can suffer anxiety, anger and depression at things like injury or not being picked due to form – things that are beyond their control to a point. On an individual basis, the application of Stoicism helps here, too. If these individuals can control themselves then the outcome is more likely to be favourable for them. Discussing this idea, Abrahams states: “You’re dealing with things that tend to be quite intangible; confidence, focus, emotion.” Football, as it rapidly begins to adopt the use of data analytics and statistics, must not forget that there are these hard-to-measure entities that cannot be neglected. The emotional side is chaos and the performance side is order. Balance is the key for a team to find success. On match-day, when the preparation should have been done, Abrahams thinks that around 80 percent of what a footballer does is instinctual and the other 20 percent conscious behaviour. The key is making that instinctual majority as lean as possible. To do this, he focuses on getting players into a healthy state of mind. Again, it’s all in the preparation. Instincts can be tailored. Many people would move out of the way when a tall man is quickly running towards them; a defender, however, cannot do this. He must compile many thoughts and actions into a very short period of time, analysing the space around them, getting into an optimum position based on the threat and his teammates, and holding off on the tackle for the right moment. These merely scratch the surface. Epictetus wrote: “Most people tend to delude themselves into thinking that freedom comes from doing what feels good or what fosters comfort and ease. The truth is that people who subordinate reason to their feelings of the moment are actually slaves of their desires and aversions.” To best interact with our instincts, we must have a clear state of mind. Players, doing as their managers have planned, must allow their bodies to work and follow “the process”. This idea comes from Nick Saban, the iconic coach of the University of Alabama and a Stoicism incarnate, who got it in turn from psychiatry professor Lionel Rosen. The basic idea is that sport is complex. No player or manager can consciously and successfully interact with the wealth of variables, which is where data analysts come in. Manager’s, for example Maurizio Sarri or Marcelo Bielsa, are known for their obsessive attention to detail and relentless approach to training. Ferguson was the same, and that’s what the Cantona quote illuminated. They get it done beforehand, so it works better in the moment. Utilising certain triggers, like a quick loss of possession, players know to align into their counter-pressing positions, at least for the few seconds after the ball switches sides. Likewise, in attack, when a certain player gets a hold of the ball, say Borussia Dortmund’s Axel Witsel, a key player in transition, the forwards and wingers revert to a certain drilled movement that best suits the lay of the land. It looks natural and fluid, but it’s more like what the Italian’s call sprezzatura, literally ‘studied carelessness’, but in this context studied freedom or fluidity. This is a dramatic way of saying ‘focus and focus some more’. Football is a battle of the mind as well as the body. It’s rare that a player is allowed to deviate from a manager’s strategy or his given position. Concentration is the key. Lapses are costly. To paraphrase Holiday’s modern take, sport is chaotic and “process” provides a way to place some order on that. That’s why Aurelius and Epictetus would advocate for the use of data, too. The data collected from the match is essential in informing the training routines, to better understand the capabilities of the opponent and, once again, to implement some order to the chaos of football. Stoicism is not a cold philosophy. It doesn’t lend itself to betraying our emotions or passions like people say; rather it prefers that we see the world more rationally as a means of optimising our judgement. Ferguson, Herrera and Michels aren’t remembered as men who didn’t show their emotions. Quite the contrary. They’re remembered as men who weren’t ruled by them. 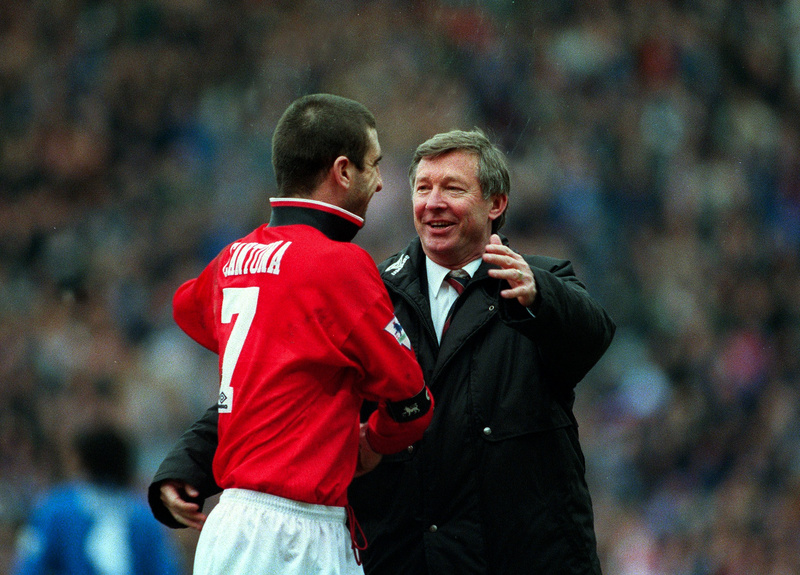 These managers were masters, both of their teams and themselves. To have a great team, every player must be a master of themselves, too. It is through their unknowing adherence to the principles of the Stoics that Michels and Marcelo, Herrera and Howe, are able to lead beyond their means. Imagine if they took a leaf from the Americans’ book and actively applied it. We have data that can offer us incredible insights, like if a scout is assigned to every player at every match in every league. We also have the preternaturally talented managers in the game who were able to sign superstar after superstar way before this was possible. Some just know the game. Some have a feeling. But everything is a trade-off requiring balance. We cannot have it all, but with Stoicism, I believe we can try.